← Washington Irving And The Sketch Book of Geoffrey Crayon, Gent. Ms. Mollie Katzen has authored–and illustrated–some of the finest of the genre. 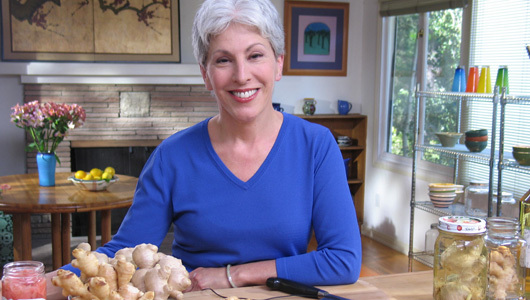 With over 5 million books in print, Katzen is considered by The New York Times to be one of the best-selling cookbook authors of all time. Her focus on whole–and often vegetarian–foods led to Health Magazine naming her one of five “Women Who Changed the Way We Eat.” Her healthy food cred also earned her a position as founding member of the Harvard School of Public Health Nutrition Roundtable and one of the first inductees into the Natural Health Hall of Fame. 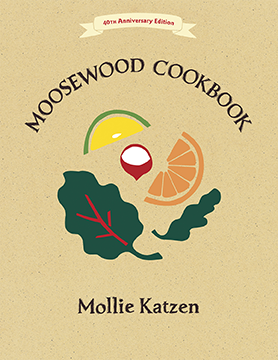 Evidence of her talent: Katzen’s first book, Moosewood Cookbook, is a literary and artistic feat. Hand-written, illustrated, and locally published, this spiral-bound notebook was inspired by recipes served at Moosewood Restaurant in Ithaca, New York. Written in 1974, it went on to great fame: Several iterations and millions of copies later, it has become one of the most influential and beloved cookbooks of all time, earning a place in the James Beard Award Cookbook Hall of Fame as well as being coined a Cookbook Classic by the International Association of Culinary Professionals. Its sequel, Enchanted Broccoli Forest (1982), was as beautiful as its predecessor and went on to sell over a million copies. Other books include Still Life with Menu (1988), Pretend Soup (1994), Vegetable Heaven (1997), and Honest Pretzels (2004). And that, my friends, is what Blog of Funny Names is all about. We love obsessions and we love to highlight folks who make a career out of them. So while there are no board meetings, there is a lot of passion and enthusiasm. Many thanks for being a part of that today with your visit! This entry was posted in funny names in food. Bookmark the permalink. Thanks, Beth! There’s way more to Mollie Katzen than I highlighted above. She was a founding member of Moosewood and is still busy writing books and making folks want to cook healthy. I’m not one to boast, but I have to say, that new “cooking metaphor” algorithm for the blurb generator is working beautifully, don’t you think? Boast away, diddy. You’re cookin’ for sure. Especially love “katzen the bag”–mighty fine wordplay! Though there did seem a bit of confusion–mixed metaphors, I’d say–near the end. Spatulas don’t slice and aren’t used with martinis which of course go no where near the oven. Melons are not whole-grain and pot roasts aren’t picked freshly or even unfreshly. And this pitted marshmallow ice-cream stew thing–really, now. Are you mocking me? I guess you missed all my expert sports metaphors in earlier posts, Liz. I was just applying the same knowledge to matters pertaining to food to celebrate your beautifully written portrait.! Anyway, I think you’re being too rigid here. You could theoretically slice a martini with a spatula, and pot roasts might grow on trees, like in Narnia of someplace like that. um… I think pot roasts only grown on trees in Theodor Seuss Geisel books. The great land of Suess, with pot roasts on trees? Where the grass is beef jerky, and the bushes grow cheese? If only some gentle kind soul would say how. Liz, great piece here. You write so well. Yet I must ask how a food science major can graduate knowing “nothing about cooking” as you say? From where did one obtain said degree? Sounds like my kind of college. The Moosewood Inn in Ithaca, N.Y. I’d go there but I like meat and have no such vegetable obsession as Madame Mollie Katzen. Thanks, Mark. Really oughta sign that book deal with you. As my co-manager, can you make it happen? We can bring Kerbey on as photographer, keeping everything in-house. And of course our launch party will be at… where should our launch party be at? About the cooking thing: food science can be learned without any cooking, really. Closest we got to actual food prep was measuring the thermal conductivity of a baked potato. As much as I didn’t love the science part (and did love all of my writing electives 🙂 ), I appreciate the knowledge as it helps explain things in the kitchen. You’re surprising me by not being a vegetable fan. I still remember the light bulb going off in my head when I was 16 (!) that because I loved to eat, vegetables would be my best friends. Because you can eat those all the time in great quantities and NOT GET FAT. And because I have a massive sweet tooth (and all around carb craving) as well as enjoying cocktails, I need those veggies to balance it all out. I bet Karen makes a pretty mean Brussels sprout. I am glad you learned the thermal conductivity of a baked potato before you learned how to cook a baked potato. I will sleep well tonight repping your cookbook now! I did not say I am not a vegetable fan. I said I am not obsessed. And there you went listing one that I abhor. Brussel’s sprout. Gag. Getting Steely Dan into the mix takes it to a whole new level, Mark! I just got out my (K)aja(n) CD cover to explore the possibilities. “Pecan Blues”? “I Got the Stews”? “Leg”? “Juicy”? All good! But Chinese take-out, now that is really good. I agree. That’s how I egg roll. Great post Liz. I’d never heard of Mollie before today. I’ll have to find a few of her cookbooks! you should totally be cooking from her books, Fannie! For one, they’re gorgeous, but also it’s exactly the stuff you should be eating. But it’s not boring or drab–it’s colorful, inventive, etc. Thanks for coming over 🙂 I finally caught up over at your place. This is why I love reading your stuff. It broadens my cooking knowledge and where to look for new resource. Thanks again! I’ve never heard of this woman before, but (as I am married to a Jimmie), I have a fondness for the “ie” as opposed to the “y,” although it is at fierce odds with my grammar-mindedness. 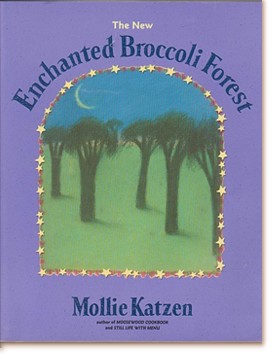 I see that she stepped up her game from Moosewood to Broccoli as far as book covers, but we will have to supersnazz up your books, surpassing moose and broccoli and pretzels as well, while retaining the precious Christmas lights border that she has on the broccoli forest. (I guess that helps to see in the dark). I’ve eaten two of those things, by the way. Have you eaten moose? Having been raised eating tofu sandwiches and soy links from the first Whole Foods store on God’s “green” earth, I can say that I ate much more veggies in my childhood than meat. I still gag on gristle, while my husband can plow through last night’s pork chop fat as well as all of the objectionable bitty parts on a chicken wing that I leave for the trash. My mom made many a steamed artichoke meal, and I still love veggies. I just like bacon and wine and chocolate now, too. Each time we go out and I order veggie plates, they think I’m a vegetarian, but I just tell them, “I couldn’t narrow down a meat plate to two sides.” It happens more than you think. So I’m like Mollie; it’s not about hating meat, it’s about liking veggies. P.S. I am down for a meal at Dinosaur Bar-B-Que whilst listening to Steely Dan. I have not eaten moose, but would be willing to give it a go. Are you saying you’ve eaten Christmas tree lights? ’cause maybe they’d help you see in the dark? Well, food person that you are, I should let you know that in Austin, there are several Kerbey Lane Cafes, so that is an homage to that spelling as well. They make the most scrumtrilescent gingerbread pancakes, as big as a frying pan, double-tiered and smelling like holidays. And I drink iced hibiscus tea there to wash it down! No, I haven’t eaten Christmas tree lights; just pretzels and broccoli. I like Aunt Anne’s jalapeno pretzels! oh goodness-just googled your namesake cafe and I must go! $3 beer and wine ALL DAY and also, they have Core Values. What’s not to love here? Nothing, I tell you, nothing is not to love. I will be applying for my Rewards Card so that I can take you there when I finally get to Tejas. Do you head to KLC often? Yay, Aunt Anne’s! We have a BOGO pretzel coupon from a box of pretzels I bought from a school fundraiser. Should I save it for when you get to MN? Yes, do save it. I will eat both pretzels! And KLC is one of those places that is ALWAYS packed, so you have to be up for an hour wait, which I was much more in my younger days. In college, my friend and I would go after clubbing and eat Kerbey Queso w/ guacamole in the middle and iced hibiscus tea and get out of there under $10. But now it’s pricey and busy bc the food is good and all organic. I DO miss those gingerbread pancakes. That’s awesome! I’m a veggie lover as well (much more than fruit). I recently told a young friend (6 years old) that broccoli was chicken dressed up as a tree. I don’t know if it helped that much, but he did eat his veggies that night! Stopping by the night before a gigantic pulmonary exam, and I was delighted to get lost in the “Enchanted Broccoli Forest” for a moment. Those other book titles are pretty awesome too! I also love finding out about people who do things I could never dream of, like hand-illustrating a cookbook I wrote myself. The world is a truly beautiful place! And just for the record, Mollie Katzen is a truly marvelous, wonderful name! Funny spellings definitely add to the awesomeness of a name, no question!!!!! Enjoy your evening, Liz! Thanks for your enthusiasm and kind words, King Dave. Happy Thanksgiving to you and yours. Yay Pappy! I don’t care if you don’t have one… isn’t sharing imaginary food items one of our “things” here on the BoFN? Thanksgiving was awesome, although seriously lacking the Pappy (or really alcoholic beverages of any type)… that’s what happens when you’ve got a bunch of teetotalers in your family! Oh, and I stopped by the Delizious page for the first time in a while, and was delighted to see a fact about a giant pumpkin! Life is good! lol, thanks Dave. Glad you enjoyed the Giant Pumpkin. Will be needing to switch the quote up again soon. Anything you’d especially like to know? Thanks, Sophie. You would like Mollie Katzen’s work very much as you both have the same cooking style and love of veggies. I think everyone I know has her Moosewood Cookbook! She was vegetarian before vegetarian was cool! Yes, absolutely, Kerry. Way ahead of her time. She’s clever for sure! Do you cook from her books? Another fun and entertaining post. Obsessions, I have no idea what you’re talking about! Ok, I may have several, but that’s normal isn’t it?! My newest obsession is aprons. I may need to dust off mu sewing machine and make some. I am very messy in the kitchen! I’ve heard of her cookbooks over the years even though I don’t own one. It’s always just cool to learn more about the story of the person behind something so well known! I especially liked what the NYT article had to say about her being an “invisible” hero. She’s working in the background not for her own glory, but for the glory of the vegetables 😉 Healthy eating, really. Appreciate your visits, Bonnie, always. But mostly appreciate you! I own Molly’s cookbook and love it! I just didn’t know much about her in particular. Thanks Liz for enlightening me as always. Liz is so enlightening it’s magical!